This episode was recorded on May 6th, 2018 and sometime in the past! Our show this week is an odd one as we had a strange technical glitch half-way through. 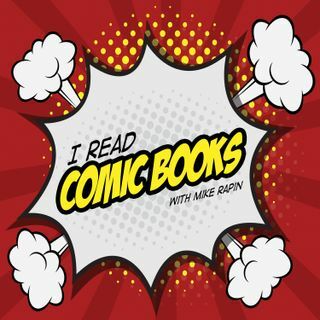 For the first half, Brian and Kate join Mike to talk about their comic picks and books they've been reading. For the second half of the show, Tia and Rene have an in-depth discussion about the villians of the Marvel Cinematic Universe. It's an odd format, but it's exciting! This week’s episode was produced and executive produced by Mike Rapin and edited by Zander Riggs.